Our mission at Teen Camp is to produce a future generation that will make a difference. We aim to provide campers with the opportunities and exposure that will allow them to discover themselves, benefit the lives of others and realize their leadership potential. 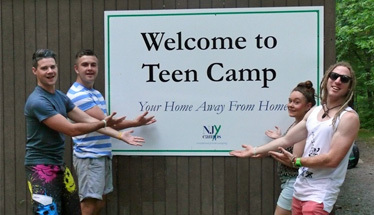 Teen Camp is a program designed for high school students. It combines teen travel, leadership training, service learning, internships and certifications with traditional camp activities to provide an experience for campers to grow and “Make A Difference” within their own communities. Campers have the opportunity to volunteer and gain community service hours working with local not-for-profit agencies. When campers are not volunteering, campers choose from over 75 individual choice camp activities to participate in. 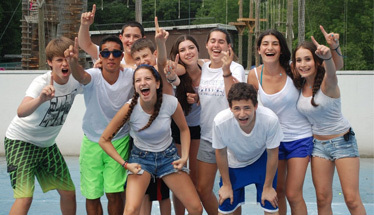 Each session, campers will embark on a “trip with a purpose.” Campers who are entering 11thgrade become Camp Interns. Interns work 6 days a week for 2 periods each day at camp Nah-Jee-Wah, Cedar Lake Camp or Round Lake Camp in an activity of their choice, while gaining hands on leadership training to supplement this. Additionally, Teen Campers may choose to become a certified American Red Cross Lifeguard, Ropes Instructor or enroll in the TSC Institute of Coaching which provides sports coach training.